We often hear from a Sales Manager or a VP of Sales that they are struggling with knowing what their sales people are focusing upon and obtaining a quality view of the status of sales opportunities. It's hard to project future revenue with an inaccurate pipeline and an incomplete understanding of key challenges in each sales opportunity. There is a need to decrease selling costs and increase sales velocity- key business drivers CRM equips a business to address. Rather than sending out e-mails telling people to use the tools, set a different expectation by incorporating the tools that you want your salespeople to use into the conversations you have with them. 1. Ask to See the Buying Roles for Each Opportunity Your Salesperson Wants You to Get Involved In. Your sales rep might be able to carry around all the names, titles, and organizational relationships for a dozen different people in their heads. But if you are managing five or six salespeople, you certainly can't. Besides this business knowledge must be in a shared database so other people on the team can help for a faster and more desirable set of results. Each opportunity in your CRM system may have multiple people involved from the prospects business and their roles in the decision process can be easily recorded and reviewed as needed. Insist on reviewing the various buying roles of each person involved in the opportunity before you agree to go along on any sales call or for the sales rep to pursue the wrong contact. Are the opportunity's contacts a recommender, an influencer, a coach or a decision maker? 2. Ask to Review the Opportunity Scorecard for Each Opportunity Your Salesperson Wants to Strategize About. Unless you have some understanding of why the customer would buy and how they could buy if they wanted to, your advice will naturally be ill-conceived. An opportunity scorecard should rate the prospective buyer based on their motivation, urgency, current state, desired future state, payback/return, consequences of not buying your solution, risks, solution fit, relationships, and their means/resources. Also consider how they could buy characteristics such as project prioritization, organizational alignment, staffing resources, solution approval, and final approval. 3. Ask to See an Opportunity in your CRM system for Each Client Meeting Your Salesperson Want to Tell You About. 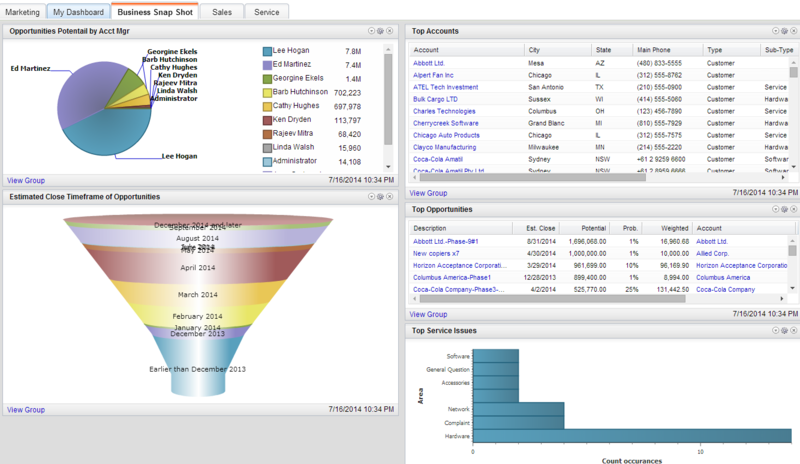 Open up your CRM system's Opportunity Dashboard and review the top 10 Sales Opportunities. Drill into each opportunity and assess the details about the prospect's current state. Having this information accessible in your CRM system is an excellent way to distribute information about the account, the contacts, and the opportunity to various people on your team who are involved in a particular opportunity. With this information as a foundation and at your finger tips, your strategy and opportunity planning sessions will be far more productive. 4. Use a Precall Planning Sheet to Help Create the Agenda for Any Upcoming Client Meeting Your Salesperson Asks You to Attend. Help your salesperson understand that you are not willing to invest your time in an opportunity that is not thoroughly qualified and that you certainly aren't willing to drive or fly to a meeting without a clear plan and well-documented objectives of what you hope to accomplish. 5. Check back at Your Account Access Strategy and Sales Process for Each Opportunity Your Salesperson Asks to Continue to Invent Time On. Open up the Sales Opportunities in your CRM System and review the history of the entire account. What can your past encounters tell you about how your account strategy is working? Was this an "A" customer before and now there has been transition in the roles of the buying decision team. Are the contact relationships still strong? Assess the current sales process for the opportunity. Are there changes that need to apply to this sales process to match the changes in the way the customer is now buying? What needs to occur in a re-design your selling process to their buying process? These are just a few examples of the way your expectations and behavior can drive adoption of the results based selling CRM tools. Show them that you value the tools and that you need them in order to do your job well. If you don't use the tools as you interact with your salespeople, they will quickly assume that they simply aren't that important. Leadership by example requires that you use the tools that you want them to use. What results based selling or CRM tools have you had success implementing in your business?